The Mercedes S Class set the standard for business class travel for chauffeur driven vehicles and continues to strive forward ahead of the field in style with the extra leg room, (Just like on your flight) safety and technological advances. Mercedes has been engineering some of the best vehicles on the planet for many years and have consistently been at the forefront of innovation and refinement and the S Class is no exception. 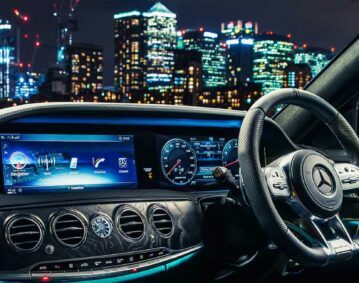 From the moment you get into a Mercedes S Class you feel at home in familiar surroundings. It is the most popular vehicle in our fleet for company executives and directors. The long wheelbase vehicles provide an extra 10 centimetres more leg room than standard vehicles. 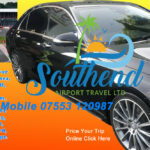 Welcome to Scott’s Airport Travel, You could say we are a specialist chauffeur service committed to providing reliable and comfortable airport travel in our S-class mercedes cars. 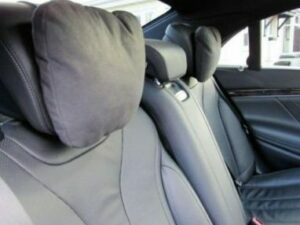 For all your special occasions like airport transfer, london nights out, or just that long trips. We pride ourselves on customer service which ensures that if you email us we will get back to you within 15 minutes, this service is provided 24 hours a day. Alternatively you can phone us between 7am and 11pm to discuss your needs. Once booking is complete you will receive a full email confirmation along with a text from me so you have my number on your phone. Scott’s Travel provides luxury mercedes vehicles for private transfers to and from London and throughout the United Kingdom for business and independent travel. Our professional chauffeurs will take you to or from any address in the United Kingdom. Scott`s Travel provides the most reliable, professional and comfortable private transfer service offering quality and convenience at reasonable rates. Our luxurious vehicles are always in immaculate condition; our experienced chauffeurs are carefully chosen for their driving skills and extensive route knowledge and all vehicles are air-conditioned, non-smoking and fully insured. Scott’s Travel provides a luxury vehicle for evening hires in and around London and the Home Counties. This is the ideal service for those attending evening functions or going out to dine, or to a concert, a theatre, a ballet or an opera. Chauffeur car of the year, winner most years, the Mercedes S-class Limousine. 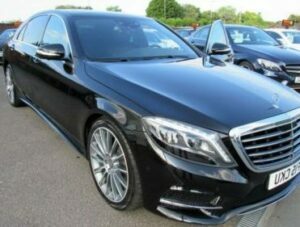 We provide the Mercedes S-class limousines as they are longer in length than the standard S-class and provide reclining rear seats and ample leg room. These executive cars are a luxurious way to travel providing ample leg room which are perfect for long distance journeys. The S-class limousine are also perfect for a large wedding dress due to the extra space. 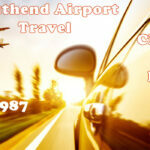 Airport transfers to Heathrow, Stansted, Luton, Gatwick, Norwich, Southend, and London city airport. Seaport transfers to Dover, Harwich, Tilbury and Southampton. 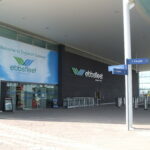 Concert transfers to Wembley, O2 arena. Sporting events at Twickenham, Alliance Park. London Theatre trips, restaurants, Sightseeing tours.